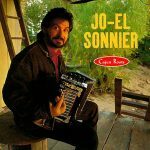 Cook up a pot of Gumbo, set out your favorite party drinks, and put this CD in the player and you are all set for a fun-filled Cajun Dance Party! 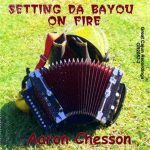 Aaron Chesson and band has put together a dozen Cajun style songs to liven up any party any time. In addition to most vocals (and all accordion playing) by Aaron Chesson, other musicians include Billy Hammond on drums, Tracy Caswell on rhythm guitar, Marvin Faul on steel guitar, and Henry Hemple on fiddle (also vocal on “Bayou Pon Pon”). 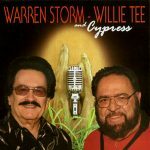 Released in 2009, 12 tracks.